"I want to thank my Kingston Reliable Storage site for helping one of our own who lost everything in a home fire on July 4th. Your offer of a storage unit for Joe Grace will help us gather donations for him to eventually restart. Thank you so much!!! (Thank you Jim Helfrick and all the Reliable team too!)" "Thanks for donating the storage space to the house fire victim, that is really generous of you." "I just got a unit last month. I greatly agree with the 4 star rating." "I received the best service from Larry at your facility in Kingston! He was so friendly and took care of all my needs. Hey, he even spread ice melt for me in front of my unit so I would not slip and fall. Thank you!" 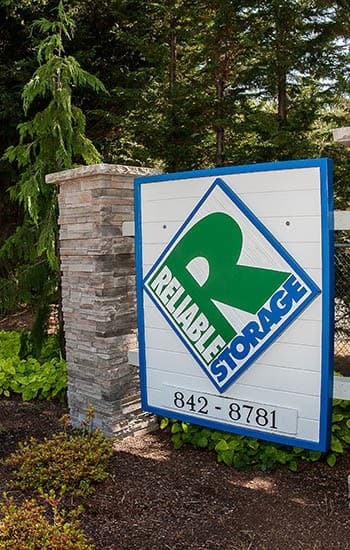 "Have been using Reliable Storage in Poulsbo for many years, and just turned in our last storage unit. Through the years I have found staff to always be very helpful and knowledgeable. Really appreciate that there was a place to put extra items, including files in heated storage. Highly recommend Reliable Storage for either short-term or long duration storage." Letter from La Vonne and Doss B. "I first spoke with Lindsey on the phone to firm up a reservation for a truck rental. Even on the phone I could tell Lindsey was very personable and had very good customer service skills. My experience with Reliable Storage in Poulsbo and Silverdale made my long distance move a breeze. Thank you to Lindsey, Vicki and Joe." "Great place to store your things that you may not use all the time so that you don't clutter your home or apartment. The place has a security gate that you access with a code and is accessible till 9pm, 7 days a week. The place is very clean and seems very secure and they have an on-site person to keep an eye on things. I would recommend this place." Aloha from Hawaii! Thank you very much for the excellent service that you've given us, plus the gift. We thank God for special friends like you! Take care and God Bless.